Whether it’s sharing photos with family on Facebook, chatting with friends in your Instagram comments, or networking on LinkedIn, social media is enmeshed with our lives. The Pew Research Center found that 7 in 10 Americans use at least one social media platform. Among 18 to 29-year-olds the number rises to 86 percent. And although we can enjoy connecting with friends, family, or like-minded individuals online, social media is also the most common place that people experience online harassment. While it’s unfortunate that we need to bear the burden of protecting our information from bad actors, until more widespread and concrete solutions to online harassment are implemented, that’s the reality we face. 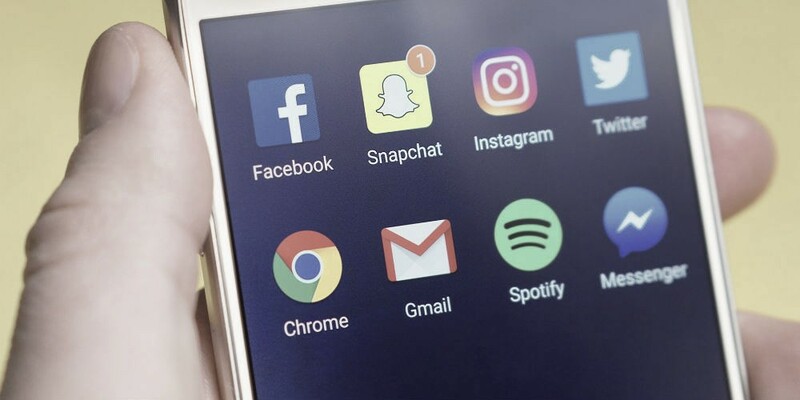 In managing our own social media profiles, we at OnlineSOS have come across some lesser-known ways to keep you and your information away from bad actors. Here are five social media privacy tips you may not have thought of yet. What’s more, these are all actions you can take in minutes. Facebook is the most commonly used platform, with over 2 billion monthly users. In the past, you may have gone looking for an acquaintance in the phonebook, but now Facebook is often the first place to look someone up. This can be good for reconnecting with old friends, but it gives harassers a dangerous tool with which to reach you or find personal information. However, Facebook allows you to adjust who has access to your profile and how it can be found. For instance, if someone searches your name on Google, your Facebook profile may be one of the top results. To change this, visit your account settings and prevent your profile from showing up in external search engines. In a blog on Facebook privacy tips, Guiding Tech points out that you can also adjust your post settings to prevent certain people from seeing your posts. To make this easier on you, you can create lists of people and choose what posts that list can see.. This is useful if you are connected on Facebook with people from both your professional and personal life. Although it might take some searching to find what you need, the Facebook Help Center has articles on other ways you can customize your experience. Many of us use Instagram stories to share interesting moments from our day. It’s a fun way to show your friends what you’re up to. The catch is that unless you have a fully private account, Instagram allows people to share your story. This means that an image or video you meant only for followers you know could get sent to unknown people. If you have a private Instagram account, only approved followers can view your stories. If you have a public account, though, you can update your story settings and disable the ability for other users to share your stories. In story settings, you can also restrict certain people from seeing your stories or make sure only selected followers can view them. Instagram stories are a fun way to share things quickly and spontaneously, but if you want to take steps to keep your stories limited to a smaller audience, it only takes a few seconds to make these adjustments. Additional Resource: Complete a Proactive Threat Assessment to determine what information or assets you'd like to protect. After Facebook and Instagram, LinkedIn is the next most commonly used platform. It’s a great tool for connecting with colleagues and professional acquaintances and in some industries, LinkedIn widely used for recruiting and job hunting. But LinkedIn is still a social network that holds a lot of identifiable information about you, even if it is in a professional context. It’s still possible to gather information about you or contact you without your consent. Like most platforms, LinkedIn allows you to adjust your settings to determine how visible you and your information are, but there’s one key asset that’s easy to overlook. Since people use LinkedIn mainly for professional networking and recruiting, it’s common and encouraged to have an updated resume on your profile. Before you upload the same resume you use for job applications, take a moment to look over your contact information. You may want to remove your home address and personal phone number. This lapse in privacy is easy to overlook, but it’s a loose end you can tie up in just a minute or two. You can also remove your email address from your public-facing resume. If someone finds your profile and wants to chat about an opportunity, they can always use LinkedIn’s messaging system. On Facebook and Twitter, photos typically receive more engagement than text posts. But one potentially troublesome feature on these platforms is the ability to tag others in photos. If you haven’t customized your settings, strangers or harassers may be able to tag you in an image they share. This means that someone might see your name in connection with an offensive or irrelevant picture. Fortunately, on both Facebook and Twitter, you get to decide whether people can tag you. Navigate to your Facebook Settings and click “Timeline and Tagging.” Here, you can enable a setting called “Review tags people add to your own posts before the tags appear on Facebook?” If you do allow people to tag you on Facebook, you also have some control of who can see the images. On Twitter, you can simply turn off the feature that allows others to tag you in photos. Alternatively, you can allow yourself to be tagged in photos only by accounts you follow. One lesser-known social media feature that can be detrimental to your privacy is location tagging and tracking. On Twitter, Facebook, and Instagram, some posts are marked with their location. Sometimes, you may not notice that location tagging and tracking has been set to “on.” Double check that your social media profiles aren’t tracking (or disclosing) your location. Another thing to be aware of is that geotags may be attached to photos you upload to apps. When you take a picture with a cellphone or digital camera, a geotag of the location is included in the picture’s metadata. While the location won’t show up in your post, someone could use a specialized app to read this metadata and find out your location (or at least where your posted picture was taken). To prevent metadata from being added to photos, you can either use an app like deGeo to remove the geotag or you may be able to turn off location tracking within your phone’s camera app. When it comes to privacy and protecting yourself online, no social media platform is foolproof. When you share information within a social network, you always run the risk that your information might be accessed or you might receive unwanted contact. Although there is greater demand for platforms to prevent and respond to online harassment, users can still make the best of what security and privacy features currently exist. If you’re not sure where to start, consider which platforms you use most and what information is connected with those accounts. Whether you are concerned about a bad actor getting your information or just want to limit who can get a glimpse of your life, you can take action to preserve your privacy. If you want to safeguard your privacy beyond just your social media presence, use our Account Safety Cheat Sheet to identify other places you can customize and strengthen your privacy settings.